Shot peening in mechanical springs is a process of cold working that allows spring manufacturers to modify the metal used to create a spring and change its properties. This is a process that was developed almost 100 years ago and has been perfected over time, allowing engineers to further customize their springs to their precise specifications. What Does Shot Peening Do? Shot peening is used to strengthen a metal and relieve stress on components for its given application, making this process useful for springs, particularly compression springs, that will be used in high stress environments and cycles. This process increases the lifespan of the spring by conditioning the metal used. During the process of shot peening, the surface of the metal is bombarded with small, pellet-sized shot, creating tiny dimples that result in compression stress on the surface of the metal. This strengthens the metal and makes it more resistant to fatigue, corrosion and cracking. The process itself is similar to sandblasting, except it operates by the mechanism of plasticity as opposed to the abrasion used by sandblasting. In the end, the tensile residual stress is converting to compression residual stress, which increases the spring’s maximum load capabilities as well as its lifespan. Shot peening has long been used in steel automotive springs (used in camshafts, clutches, etc.) but because of how it changes the mechanical properties of a metal, it is also used in springs meant for turbine blades and other applications that have high cyclic fatigue. 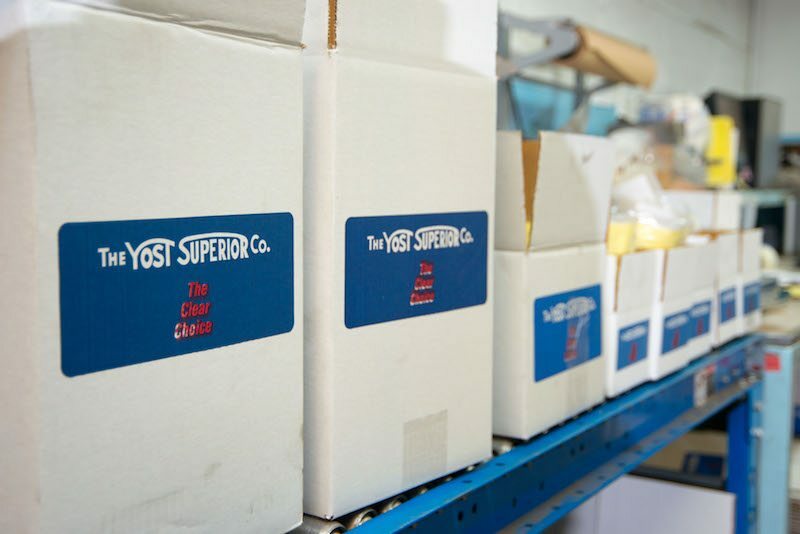 At The Yost Superior Co., we employ many spring-making capabilities to customize springs to your precise specifications. No matter your application, or how many springs you need, we can design a spring that exceeds your expectations. Contact us today to Request a Quote on your custom springs.